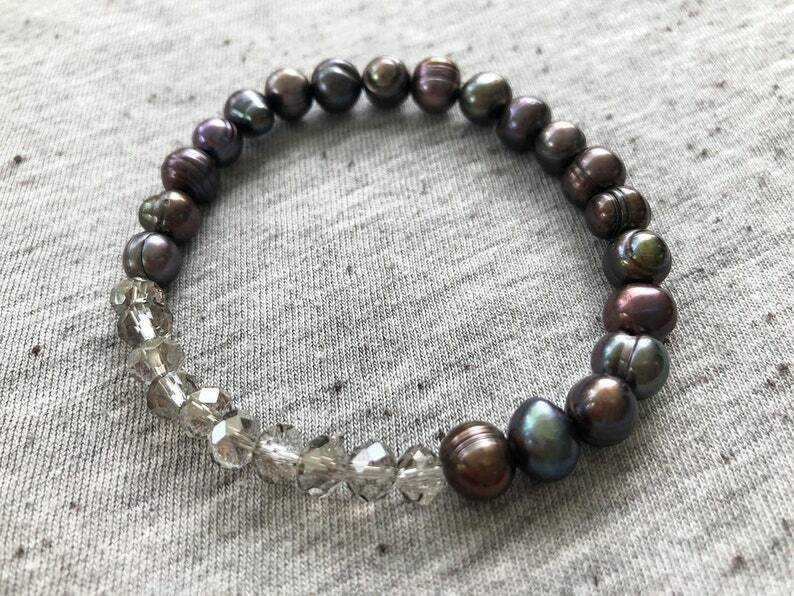 This beautiful bracelet was made using iridescent gray freshwater pearls and gray clear faceted Czech glass beads. It is strung on strong elastic cord. The bracelet is 7.5 inches long, the perfect length for most wrist sizes. It works well with a variety of styles and is a perfect accessory for summer!